Alpinestars Karting Gloves - Tech 1-K Race Youth UNIVERSAL - Brakeswap.com - Friction for the Win! 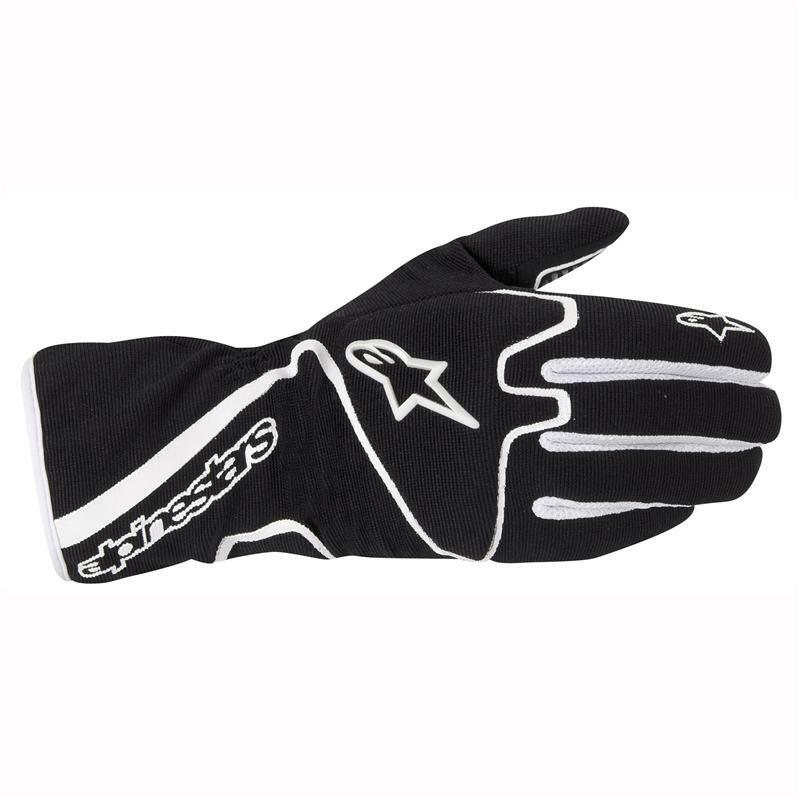 Designed for an optimized Youth fit, Alpinestars Tech 1-K Race S Glove utilizes a lightweight Spandex construction that affords enhanced comfort in warm conditions while offering the high levels of feel required for kart racing. Lightweight, Spandex mesh construction provides optimum feel and enhanced comfort in warm weather conditions. Single layer suede palm provides exceptional driving feel. Pre-curved finger and palm design aids fit while reducing material bunching. Single panel construction on the top of hand further reduces weight and features an integrated padded knuckle for protection against impacts. Open mesh fourchettes promote efficient moisture wicking and temperature regulation. Discreet internal seams ensure minimal material resistance for greater comfort and feel. Silicone detailing on fingers and palm improves grip and feel.